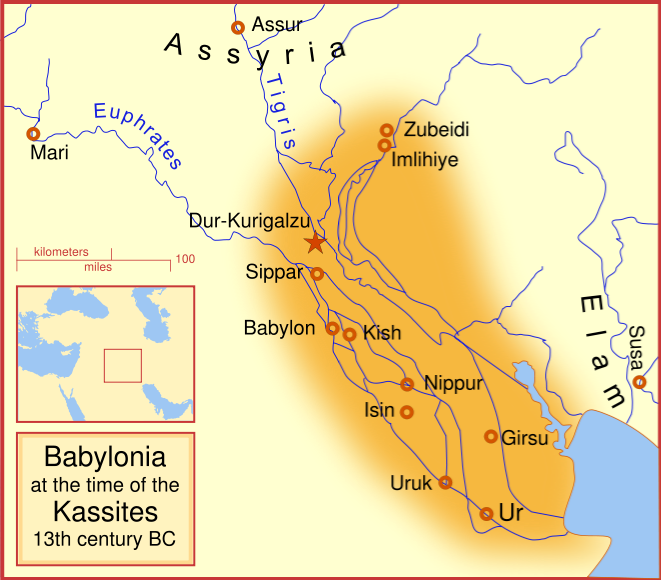 Babylonia was an ancient Akkadian-speaking state and cultural area based in central-southern Mesopotamia (present-day Iraq). It was often involved in rivalry with the older state of Assyria to the north and Elam to the east in Ancient Iran. Because the city of Babylon was the capital of this area for so many centuries, the term Babylonia has come to refer to the entire culture that developed in the area from the time it was first settled, about 4000 BCE. Before Babylon’s rise to political prominence (c. 1850 BCE), however, the area was divided into two countries: Sumer in the southeast and Akkad in the northwest.